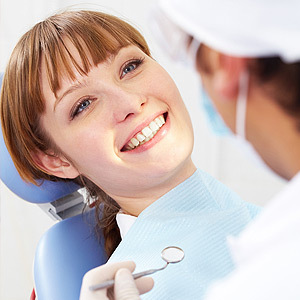 Cosmetic and restorative dentistry is filled with a varied array of procedures, materials and techniques that can address any shortcoming with your smile. Whatever your condition, there’s a means to correct or enhance your smile. The real question, though, is whether we’re both, patient and dentist, on the same page as to what’s best to enhance your smile. Dentists have a different perspective on smile outcomes than the average layperson. We’re clued into aspects like tooth alignment with facial features or gum-to-lip distance influenced by our professional training and experience. You, though, may see your smile in terms of other features that define beauty like mouth expressions or lip shape. Bridging these differing points of view requires open and honest communication. Here are three considerations to make that happen. Build trust between you and your dentist. It’s natural for us to have differing views on what constitutes proper smile aesthetics based on the perspectives previously mentioned. Working through those perspectives to arrive at a unified plan requires trust that both of us desire the same outcome: a beautiful smile you’re happy to display to the world. “Seeing” your future smile can help ease your misgivings. It’s one thing to try to imagine a certain treatment outcome — it’s quite another to actually see it beforehand. And you can, through computer simulation that takes a picture of your current face and smile and then augments them digitally so you can see how your smile will appear after proposed treatment. It’s also possible in some cases for you to wear temporary or “provisional” restorations so that not only can you see how they look, but also how they feel and function in the mouth. Understand what “type” of restoration patient you are. Although everyone is different, we can usually characterize patients and their expectations in two ways. Some patients are “perfect-minded” — they want restorations that offer the maximum symmetry, regularity and tooth brightness. Others are more “natural-minded” in that the changes they seek don’t drastically alter their natural appearance, but are just enough to look different and create a sense of character. Knowing what you really want — a drastic change or a subtle enhancement — will help you communicate your desires more clearly and help us design the treatment options that best fit your expectations.